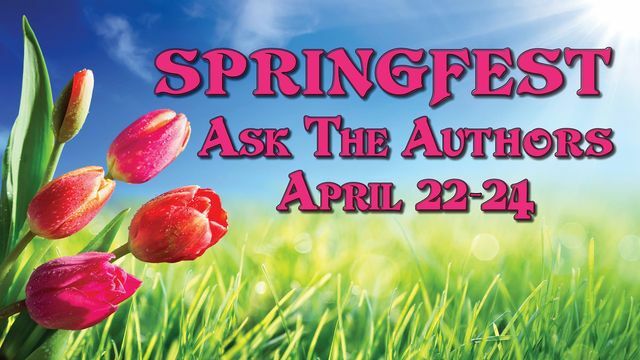 Come to Springfest: Ask The Authors! There’s going to be a fun event happening today through Sunday! It’s called Springfest, and it’s a little different from your usual Facebook party. Instead of authors arriving and coaxing you into answering their questions, it’s your time to pose the questions! Your favorite authors will be available live to answer your burning questions. What have you always wanted to know? Pop in and ASK THE AUTHORS! Click on the Springfest picture below to head over and check out the schedule. The schedule is listed in CENTRAL STANDARD TIME. I will be hanging out there today from 1:30 through 2:30 Central Time. I’d love some company! You know there were be bribes, er prizes involved, so stop by! 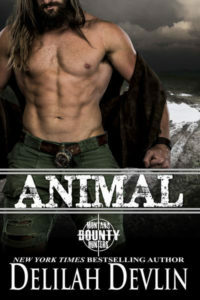 The current list of authors who are playing this weekend includes: Marina Adair, Kayelle Allen, Sophie Barnes, Victoria Blue, Kimberly Cates, JA Coffey, T.M. 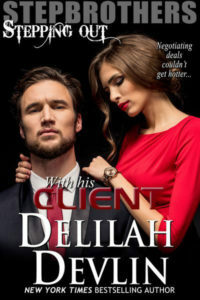 Cromer, Delilah Devlin, Tina Donahue, Sherry Ewing, Houston Havens, Desiree Holt, Callie Hutton, Lynice Jackson, D’Ann Lindun, Tracy Madison, Jennie Marts, C.M. McCoy, Virginia McKevitt, Hildie McQueen, Donna Michaels, Lydia Michaels, Siobhan Muir, Angel Payne, Lauren Runow, Jill Sanders, Gary Stillman, and Paige Tyler.